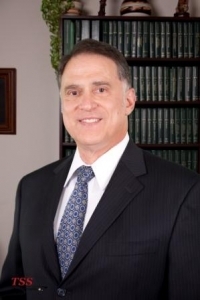 Vincent Carosella, Jr. is an experienced business attorney licensed to practice law in Pennsylvania and New Jersey. His areas of concentration are business and corporate law as well as commercial and residential real estate, zoning, wills and trusts. Prior to forming the Law Firm of Carosella & Associates, Mr. Carosella was a member of the real estate and commercial lending department at Stradley, Ronon, Stevens & Young, one of Philadelphia’s most prestigious law firms. Mr. Carosella has a wealth of business knowledge and hands-on experience as he has owned and operated many large companies, including a solid waste company in Philadelphia, an environmental assessment company in Delaware County and a heavy truck repair company in Philadelphia. Having practiced at a large Philadelphia law firm, Mr. Carosella brings big firm experience to his clients at the fee level of a smaller firm.